Here are three things we learned from Round 2 of the First PREMIER Bank PREMIER Bankcard Invitational Saturday night at the Denny Sanford PREMIER Center. Dakota Buttar finished Round 2 in fourth place with his 87.5-point ride on Clover Mountain Beau, but the 25-year-old’s thoughts were with his native country north of the border. Buttar lives only 3.5 hours from Tisdale, Saskatchewan, which was the sight of the tragic Humboldt Broncos junior hockey team bus crash on Friday night that has left 15 dead. The hockey community, as well as all of Canada and most of the world, has been left saddened and in mourning after the bus carrying a team of 29 players, ranging in age from 16 to 21 years old, and coaches was struck by a semi-trailer as the team was on its way to Nipawin for a playoff game. Fourteen people were also injured. Tanner Byrne, who was bucked off by Rebound in 5.97 seconds, posted his support on his social media accounts late on Friday night and on Saturday afternoon. Byrne said before Round 2 that he doesn’t believe he knows anyone directly on the team, but that the crash certainly strikes a chord to him as he grew up playing hockey in Saskatchewan and traveling to hockey games on similar buses. The crash reminded him of the one that his friend and former NHL hockey player and PBR supporter Sheldon Kennedy was a part of on Dec. 30, 1986, that took the lives of four players from the Swift Current Broncos. This weekend was also was another harsh reminder to Byrne how quickly a life can be taken away from someone. “To hear news like that is an utter tragedy,” Byrne said. “Those kids were 16 to 20 years old and had their whole futures ahead of them. It was cut down. It makes you realize anything can happen and to hold your loved ones close. You never know what can happen in life and that is evidence of it. It had been 83 days since 2016 World Champion Cooper Davis surpassed the 90-point threshold. He had also only posted one qualified ride on the 25thPBR: Unleash The Beast during that same timeframe. Therefore, it comes as no surprise to see Davis let out a sigh of relief as he pumped his fist into the air following a sensational 90.25-point ride on Nailedto win Round 2. Davis nearly lost his bull rope leaving the bucking chute and had to regain position in the opening 2 seconds. Davis earned 100 points for the round win and the No. 9 ranked bull rider trails world leader Ramon de Lima by 750 points heading into Round 3. The Jasper, Texas, bull rider has drawn Wild Side (4-1, PBR UTB) for championship Sunday. Wild Side bucked off Colten Jesse in 4.34 seconds in Round 1. Another rider that let out a sigh of relief was Claudio Montanha Jr. The No. 3 bull rider in the world standings rode Stunt Man Ray for 88.5 points and 50 world points. Montanha is only 154.17 points behind Lima in the world standings and will face Sitting Bull (3-2, PBR UTB) in Round 3. Sitting Bull bucked off Stormy Wing in 4.82 seconds in Round 1. Davis is chasing Brennon Eldred in the event standings as Eldred continues to prove this weekend that his partially torn MCL in his right knee won’t slow his mojo. Eldred finished second in the round and is leading the event average after riding Twinkle Toes for 89 points. The 23-year-old began his weekend with 85.25 points on Embers in Round 1. Kaique Pacheco (2-for-2, 171 points) and Lucas Divino (2-for-2, 170.75 points) are the only other two riders perfect in Sioux Falls. Pacheco has ridden six consecutive bulls after riding Line Me Up for 84.75 points in Round 2. Rounding out the Top 5 in Round 2 behind Davis, Eldred, Montanha and Buttar was a trio of PBR veterans. Eduardo Aparecido (87 points on Cooper’s Comet), Silvano Alves (87 points on Catfish John) and J.B. Mauney (87 points on Rocket Man) each picked up 16.66 world points. Eldred, though, is the man to beat heading into Championship Sunday. He earned 60 points toward the world standings on Saturday and his first event win Sunday would potentially push him inside the Top 10. Eldred has ridden six of his last eight bulls and has drawn Milky Jones (19-5, PBR UTB) for Round 3. Emilio Resende did not compete in Round 2 and is out for the remainder of the weekend because of his dislocated left shoulder from Round 1. Matador Jerky bullfighter Shorty Gorham’s X-rays on his right foot came back negative and showed no fracture. Gorham is out for the remainder of Sioux Falls, but he hopes to return for next weekend’s Tacoma Invitational, presented by Cooper Tires. Here are three things we learned from Round 1 of the First PREMIER Bank PREMIER Bankcard Invitational Friday night at the Denny Sanford PREMIER Center. It was a night of multitude of successes for reigning World Champion Jess Lockwood. Not only did the 20-year-old feel little to no pain during his 87.75-point ride on Smoke Signals, but he also successfully landed on his feet with his get-off and walked away unscathed and a second-place finish in the round. The third-year pro earned 60 points toward the world standings in Round 1 to move up to 11th in the world standings. Lockwood had missed the Ak-Chin Invitational, presented by Cooper Tires, two weeks ago because of a bone bruise and sprained ligaments in his riding hand. Lockwood made his PBR premier series debut in Sioux Falls three years ago with a seventh-place showing. So far he is off to a good start this weekend in front of the Lockwood-friendly crowd at the Denny Sanford Premier Center. Lockwood will face I Always Stand (37-7, PBR UTB) in Round 2 on Saturday night. It is a great matchup for Lockwood, who rode I Always Stand for 92 points in Bismarck, North Dakota, during summer of 2016 Velocity Tour event. Jose Vitor Leme’s mental clock went off around 3-4 seconds on Friday night, and once that happened he knew it was time to really turn things up a notch. Leme got aggressive and churned out a round-winning 89 points aboard Red Bandana to win himself a PBR-best seventh round win of 2018. Leme has been almost dominant when bull’s turn into his left riding hand. Once Red Bandana did that Friday night, it was lights out. The Ribas Do Rio Pardo, Brazil, bull rider has ridden seven of his last 10 bulls with four round wins. Leme earned 100 world points with his ride on Red Bandana and now trails world leader Ramon de Lima by 375 points. Lima is sitting in ninth place in Sioux Falls after riding Check Mate for 84.75 points in Round 1. The 27-year-old takes on Moto Moto (20-7, PBR UTB) in Round 2, while Leme will look to continue his march to the top of the standings when he faces Stretch (2-1, PBR UTB). Team Australia coach Troy Dunn has yet to announce his roster for the upcoming Global Cup in Sydney, Australia, but it will be no surprise when Nathan Burtenshaw is named to the team. The highest-ranking Australian bull rider in the world continued to roll on Friday by riding Aristokat for 86.75 points. Burtenshaw has now ridden four consecutive bulls dating back to his career-best, 3-for-3 third-place finish two weeks ago in Glendale, Arizona. He has earned 320 points toward the world standings with those four rides to move from 36th in the world standings to 23rd. The 23-year-old has also put together his best run to date on the premier series despite a left groin injury. Burtenshaw is slated to face Livin’ Large in Round 2. It will be a rematch between the two athletes after Livin Large knocked Burtenshaw out after the 8-second whistle three weeks ago at the Ty Murray Invitational. It appeared as if Burtenshaw had made a great bull ride, but an instant replay review of the ride showed Burtenshaw to have slapped the bull when he was leaving the bucking chutes. Resende will likely be unable to compete on Saturday night after dislocating his left shoulder during his ride on Chute Boss. The 30-year-old is doubtful for Round 2 according to Dr. Tandy Freeman. In other injury news, Matador Jerky Bullfighter Shorty Gorham may have sustained a broken right foot after being stepped on by Sarah’s Terror. Gorham is out for the remainder of the weekend and will need to get X-rays to determine the extent of his injuries. Brennon Eldred went from being 8 seconds away from winning his first career premier series event three weeks ago in Albuquerque, New Mexico, to being sent home with a partially torn MCL in his right knee. 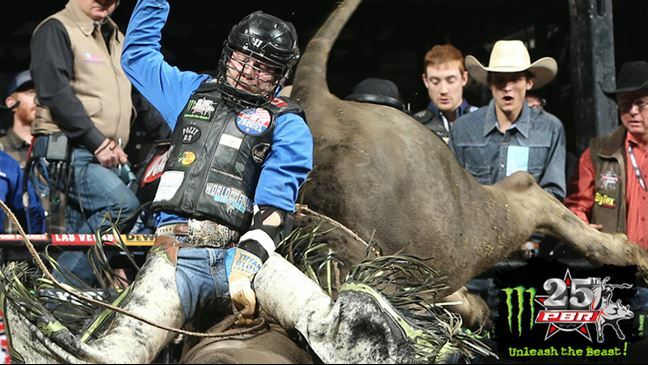 Eldred now hopes to regain the momentum he lost from bucking off two-time World Champion Bull SweetPro’s Bruiser when he returns to competition Friday at the First Premier Bank Premier Bankcard Invitational in Sioux Falls, South Dakota. The No. 19 ranked bull rider in the world had ridden his first three bulls at the Ty Murray Invitational in impressive fashion before bucking off Bruiser. Eldred had ridden White Omega (87.75 points), Mac’s Barbeque (88.25 points) and Chocolate Shake (86.75 points) before selecting Bruiser with the top selection of the championship-round draft. 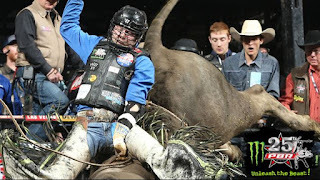 Eldred, who was recently named to Team USA, had entered the event 6-for-23 on the 25th PBR: Unleash The Beast after struggling with a torn groin from the 2017 Global Cup event in Edmonton. The 23-year-old admitted it was frustrating to have to sit out a week after finally feeling like he was healthy again. Eldred had surgery on his right knee four years ago to repair a torn ACL and meniscus. The Sulphur, Oklahoma, native is slated to face Embers (0-1, PBR UTB) in Round 1 on Friday night at the Denny Sanford Premier Center. Fans can watch the event exclusively on RidePass beginning at 8:30 p.m. ET. Also returning from injury in Sioux Falls is World Champions Cooper Davisand Jess Lockwood, as well as Emilio Resende and Stormy Wing. Wing is down to his final guaranteed event on the premier series before being relegated to the PBR’s developmental tours. The eight-time PBR World Finals qualifier needs to pick up 245 world points to crack the Top 35. He is 0-for-15 on the premier series and has missed the last two events. There are eight additional alternates also trying to earn full-time spots on tour – No. 38 Cody Campbell (-26.67 points behind No. 35 Juan Carlos Contreras), No. 39 Colten Jesse (-30 points), No. 40 Paulo Lima (-44.17 points), No. 41 Lindomar Lino (-55 points), No. 42 Wallace de Oliveira(-57.5 points), No. 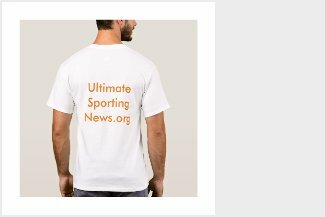 43 Ueberson Duarte (-77.5 points) and No. 44 Rubens Barbosa (-88.34 points). Contreras is holding onto that No. 35 ranking with 285 world points. He has drawn Heat Wave (6-0, PBR UTB) for Friday night. Still out of competition because of injuries or personal decision is No. 2 Luciano de Castro (torn right MCL), No. 6 Dener Barbosa (broken right foot), No. 8 Cody Teel (broken left ankle) No. 10 Ryan Dirteater (torn right meniscus), No. 11 Derek Kolbaba (torn right ACL/MCL), No. 12 Guilherme Marchi (fractured sternum/broken rib/right sternoclavicular sprain), No. 16 Gage Gay (right reconstructive knee surgery) and No. 28 Fraser Babbington (ineligible). World leader Ramon de Lima will try to break out of his 3-for-11 slump when he squares off vs. Check Mate (0-0, PBR UTB) in Round 1. Check Mate is making his PBR debut after going 13-0 on the rodeo trail. He bucked off four-time PRCA champion Sage Kimzey at the NFR last year in 3.4 seconds. Chad Berger’s bovine athlete was marked 47.5 points, according to ProBullstats, at the San Angelo, Texas, rodeo last month for disposing of Cody Rostockyj. World No. 2 Bull Pearl Harbor is slated to compete in the championship round, while 2017 World Champion Bull contender TLW’s Big Cat is making his season debut in Round 3.